Santa Maria’s streak of five consecutive months without a murder came to an end Monday night when a July 4 block party ended in a deadly shooting. One man was killed by the gunfire, and a juvenile suffered multiple bullet wounds. 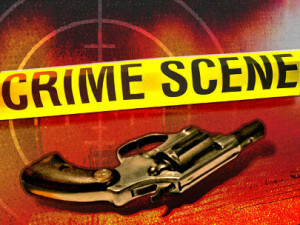 At approximately 10 p.m., a caller reported a shooting in the 400 block of N. Oakley Avenue. Emergency responders pronounced the adult victim dead at the scene. The male teen was flown to Santa Barbara Cottage Hospital. His current condition is unclear. There have not been reports of any arrests. Police are still investigating the shooting. Amid a string of gang violence, there were 13 murders in Santa Maria in 2015 and another six homicides in January. A lull in violence then occurred after authorities arrested 15 foreign nationals in a multi-state sting targeting gang members involved in the murder spree. But, violence had picked up again in recent weeks. There was both a stabbing and a shooting in Santa Maria in June. Gee, 5 months without a murder. Something to be proud of? As long as just gangster’s are involved, who is shedding any tears? This shooting, like the others in Santa Maria, is largely due to the ‘Sanctuary City’ policies adopted by Mayor Alice Patino and the SM City Council. Sad. Santa Maria politicians, in order to accumulate campaign reelection cash from the Big Ag farmers, are taking money from the wealthy agriculturalists in exchange for crafting public policies favorable to the illegal alien workforce that Big Ag exploits for profit. Members of the taxpaying public need to demand an immediate end to this corruption, and Santa Maria has become a dangerous city, recently being put on the FBI’s ‘Most Violent California Cities’ list. Home values are falling and good families are fleeing Santa Maria because it is no place to raise a child. Btw, each shooting victim cost taxpayers about $400,000-a-gangster in medical care.